LOL, what a choice, marriage or depression?! How about a multiple choice question, none of the above:) A great man once said, ” it’s a small world but I wouldn’t want to paint it! 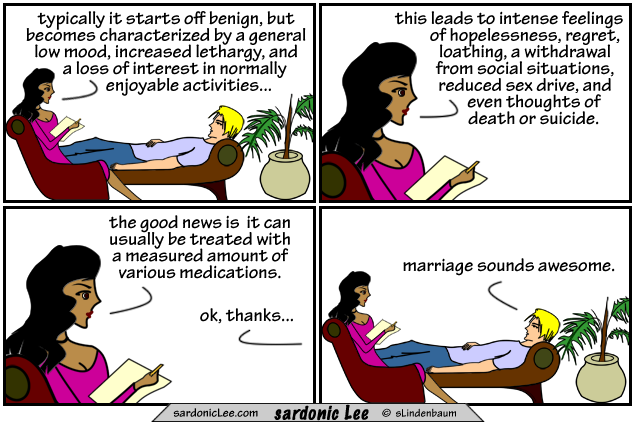 Depression is the fabulous alternative to marriage. I promise to be depressed again, but never married again. just you and your cats… mel ‘n collie. Nice! I treat my symptoms on a regular basis.